Comedy games are hard to come by and sometimes, one of the hardest things to achieve in a videogame. 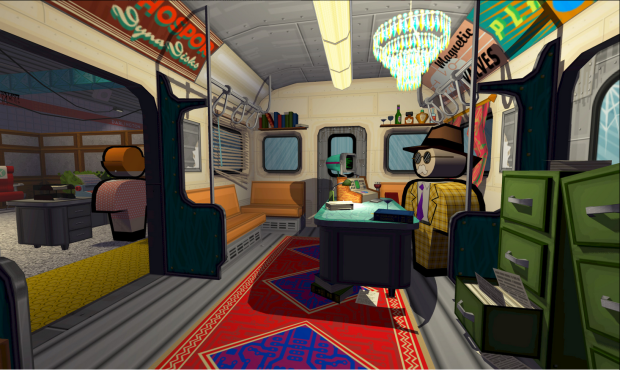 But Necrophone Games has tapped into the mindset with jokes a plenty in this spy comedy adventure game Jazzpunk. You can pre-order the title now on their website for $15 and it’ll be out in January 2014. I had this on my top indies of 2013 list but it’ll be back for my 2014 list, you can be assured of that! Let us know what you think of this comedic adventure in the comments below or post in our Facebook or Twitter.